"You've seen it without knowing it. 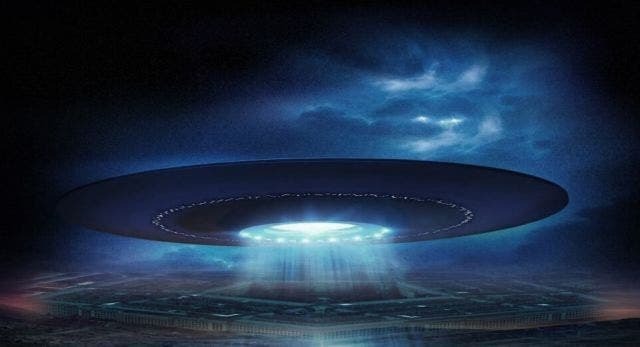 Remember that wild news in December about a secret Pentagon UFO program? And those grainy military videos showing radar images of unexplained phenomena — white, Tic-Tac-shaped objects that appear to fly at remarkable speeds, at impossible angles, without wings or exhaust?" Tom DeLonge former Blink 182 rockstar helped ring the alarm about those things, as part of his new business venture: To The Stars Academy of Arts and Science. For his advisory board, DeLonge recruited physicists, aerospace experts and former Department of Defense officials, who have been talking publicly about UFOs and arguing that the government has failed to fully investigate them. 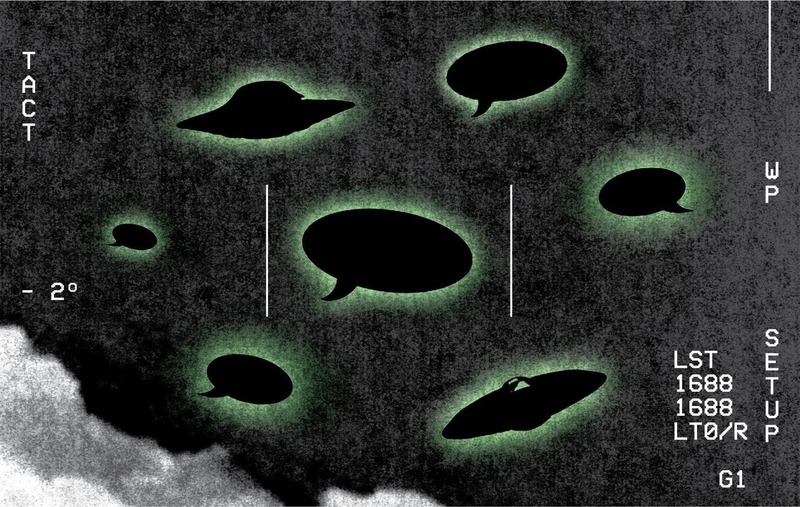 DeLonge says he wants to build "a perpetual funding machine" to investigate UFOs and thereby advance our own species continues Dan Zak for the Washington Post. At a launch event for To The Stars Academy in Seattle last fall, he explained that he was expanding his small entertainment venture — which has mostly published his graphic novels and books about UFOs and the paranormal — into a far more ambitious scientific operation, to explore "the most controversial secret on Earth." In the past six months, DeLonge's associates have appeared on CNN and Fox News, written for The Washington Post and been cited in the New York Times — usually in the context of those eerie videos. "What the f— is that thing?" a Navy pilot says in a video released by To The Stars in March, but perhaps the more pertinent question is: How did the guy from Blink-182 get wrapped up in it? Rich men have the luxury of looking to the stars for investment and wish fulfillment. SpaceX founder Elon Musk wants to colonize Mars. Microsoft co-founder Paul Allen wants to make interplanetary travel cheap and routine. Amazon chief executive Jeffrey Bezos, who owns The Washington Post, envisions moving industry off Earth and shipping products down from space. DeLonge, who declined to comment for this article, explained at the launch that he had used his fame to meet with the keepers of that secret, in "clandestine encounters" in "desert airports" and "vacant buildings deep within Washington D.C."
"The phenomenon is indeed real," Elizondo said when it was his turn to speak. Just days before, the 22-year Defense Department veteran had submitted a resignation letter to the Pentagon, citing its disregard of "overwhelming evidence" that unexplained phenomena have been interfering with the U.S. military.